EN UNA JORNADA SOFOCANTE DE CALOR ALAS 16 HORAS COMENZO LA COMPETICION DEL RAPHEL DE ARANJUEZ CON LA CATEGORIA CADETE. EN K2 CADETE LA COMPETICION FUE DOMINADA POR LOS CHICOS DEL CLUB PIRAGUISMO CUENCA ALFONSO Y PABLO. EN K1 CADETE GANO MIGUEL LLORENS DE RIBADESELLA. EN K1 DAMA CADETE GANO LUCIA ARQUERO DE ARANJUEZ. EN C2 CADETE GANO ADRIAN-JOSE LUIS DE ARANJUEZ. EN K2 DAMA CADETE 1ª SALOME-IRENE , 2ª GISELLE Y VIRGNIA DE ARANJUEZ GANARON LA REGATA. EN K1 DAMA JUVENIL LUCIA DE BADAJOZ, SEGUIDA DE MARIA CORBERA Y PATRI COCO. EN C2 SENIOR 1º ALVARO RICA Y PIZARRO GANARON A 2º JULIAN-MORA Y AL C2 DE 3º AS TORRES ISMAEL-MIGUEL. 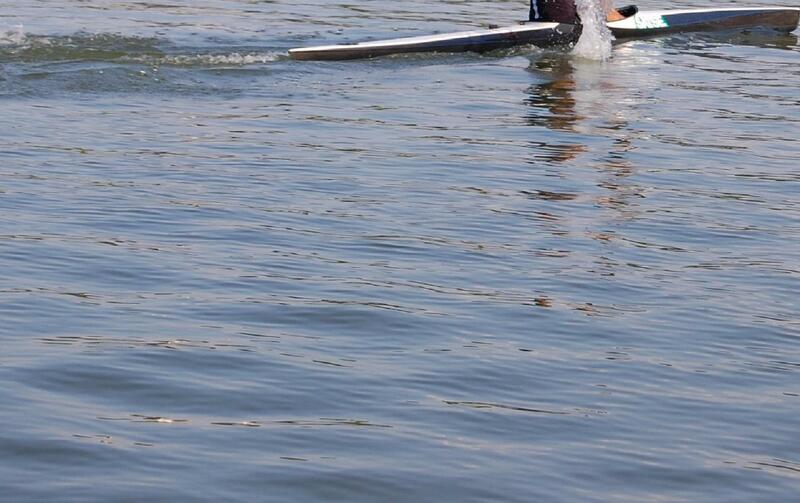 EN K1 SUB 23 GANO DAVID MACHADO.